I tell my nephew as he chows down breakfast before school that it’s Wednesday….Wonderful Wednesday. He smiles which lights up my universe; He’s such a great kid! Then, not two hours later I hear on the news that shots are fired and people are down not far, as the crow flies, from where we live! Woefully sad that a deranged man shoots at members of congress as they practice baseball in a quiet Alexandria community for a charity event to be held the very next day. Senseless. Honestly, I try hard to focus on the good stuff everyday but at times like these, it is NOT easy. But, Okay….though our house STILL sits unsold in middle-earth-land Alabama and horrible stuff keeps happening on every continent, I’m doing my feeble best to live in the moment, with a smile on my face and a skip in my step. So…. It occurred to me while I was driving to the grocery store the other day that though I am back to the place where I lived through the tragedy of 9-11, the D.C. sniper shootings, years of long runs and the D-word (divorce) I had forgotten one obvious fact about life here in the big city. Diversity. Slap on the forehead….hard to believe that escaped me! Middle-earth living for nearly five years has had my head in the sand. For instance; I can count on one hand with three fingers left over the number of times I’ve seen a woman wearing a hijab during these past five years of Alabama living. It is interesting to see so many different people. The fashion statements and body art here are as colorful and mixed as a field of assorted wild flowers. I could sit and people-watch for hours. Not a day has gone by since I arrived where I don’t see more than one woman wearing the traditional Indian sari or a headdress of some sort. On this quiet suburbia cul-de-sac where I am hanging out for a spell there are several Indian families. I’ve already met one Muslim neighbor just up the street. The wife puts in long days as an internal medicine doctor while hubby (currently celebrating Ramadan) works at the U.S. Patent Office. Their two young boys are keenly interested in Ornithology (the study of birds). I was mighty impressed the other day when the boys, out in the front yard, stopped me during a walk with The Poodle. The older lad, a raising third grader, wanted to show-off his bird photos taken with a small red camera. “This is a red-bellied woodpecker,” he proudly says pointing to one of his many bird photos. *Wow. Impressive!” I say as I marvel at the honest delight he had with bird-watching. So…yes: nearly two months back in the greater Washington Metro area has my head spinning with a mixture of excitement and angst. The excitement? I’m embarrassed to admit I’d nearly forgotten that here is an international melting pot of cultural diversity (I find myself staring with interest and curiosity, of course!). And with it comes terrific places to eat as well as interesting (and free) places to visit. So, I’ve been making up for some lost time from middle-earth life and my waistline agrees! Ah…though the battle is constant, fear not waistline; I’ve joined a gym! 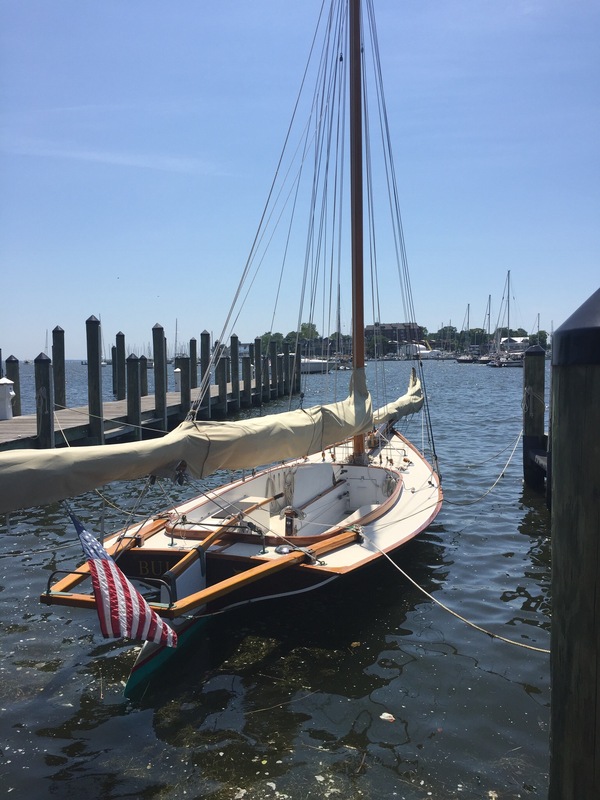 For example, just over a week ago last Sunday was spent driving back from the second wedding in a month’s time with a pit stop in beautiful Annapolis, Maryland. As I watched an array of boats large and small come and go at the marina across the way I was in heaven over a brunch of freshly-prepared crab balls with a side of a delightful spicy potato and peppers scramble. Time constraints prevented a long day of sightseeing but we managed a brief walk to the Naval Academy. Afterwards, we beat feet back towards the marina where our car was parked. The mid-day heat made us lollygag long enough to stop in at Kilwins to nosh on generous scoops of ice-cream (mine was cappuccino chocolate chip) as well as a fabulous tasting of chock full of nuts home-made fudge. Naturally, we couldn’t resist bringing home a small bag. I didn’t feel a bit guilty over my sweet pleasure as my next stop before the car was Capital Teas where, after recovering from shock over the pricey organic teas, I purchased two types for their supposed health properties: Chamomile to help me sleep better and calm a nervous stomach, and Tumeric-Ginger for its anti-oxidant and anti-inflammation benefits. And, what’s up with this little bit of angst, other than of course waiting for a damned house to sell? It’s been over thirteen years since I’ve spent much time back in this area that was my home for fourteen years. Roads I don’t recognize, neighboord sprawl and new shopping plazas confuse my history and direction of things making me feel fuzzy-brained indeed. And how about the traffic? One thing is for certain. There are adventures a-plenty and the gray-matter is surely being tested. Off to brew up a cup-o-tea. Thanks ❤️🙏 I remain ever hopeful…both for mankind and the sale of my house.